A fairground staple and a quintessential autumn treat, caramel apples strike a fun and sticky balance between caramel's lush sweetness and the refreshing acidity of the apple. 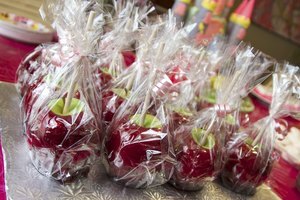 For home enthusiasts, the trickiest part of replicating those fairground caramel apples at home is the deceptively simple matter of getting the candy to stick to the fruit. 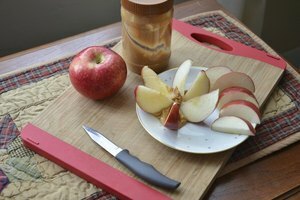 The caramel tends to slide off the apple in sheets, unless you take a few moments to loosen and wipe away the apple's coat of protective wax. Rinsing the apple briefly under cold water is enough to remove any surface soil, but it does little to loosen the protective coat of wax. Hot water is more effective for that purpose, because it softens and weakens the wax. To do this, bring a pot of water to the verge of a boil and dip your apples one at a time for just two to three seconds each. 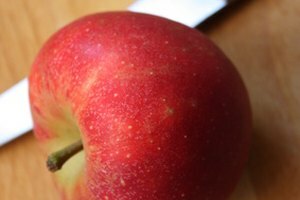 While the apple is still warm, rub it vigorously with a paper towel or a freshly laundered kitchen towel to remove the wax. Adding an acidic ingredient such as lemon juice or vinegar to your water also helps, because acidity weakens the chemical bonds holding the wax in place. 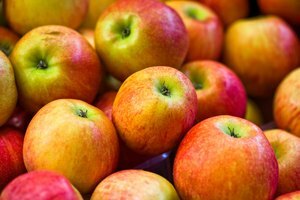 If you're only making a few apples at a time, boiling a pot of water might be more fuss than you're willing to take on. You can achieve much the same effect by rinsing your apples under the hottest running water your gloved hands can stand, for six to 10 seconds each. You can't add acidity to the water using this method, but you can moisten a towel with lemon juice or vinegar and use that to wipe the apple clean. After a quick rinse, towel the apples dry and move on to the fun of dipping them.